We may recommend dental sealants if you have deep pits or fissures on the surface of your molars (back teeth) that collect plaque. It’s important to understand that dental sealants are not meant to replace good oral hygiene habits. You’ll need to continue brushing your teeth twice a day and flossing once daily to remove plaque at home. You’ll also need to see our Kalamazoo, MI dentist at least every 6 months for a teeth cleaning and oral examination. Our dentist offers dental sealants and other preventive dentistry services to help you maintain good oral health. 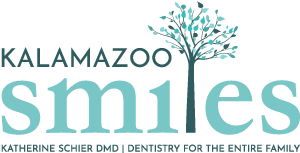 To request an appointment with our dental sealant dentist in Kalamazoo, MI, call Kalamazoo Smiles at (269) 353-3700.